1. My new Robin and Mould tea cosy. Isn’t he pretty? 2. 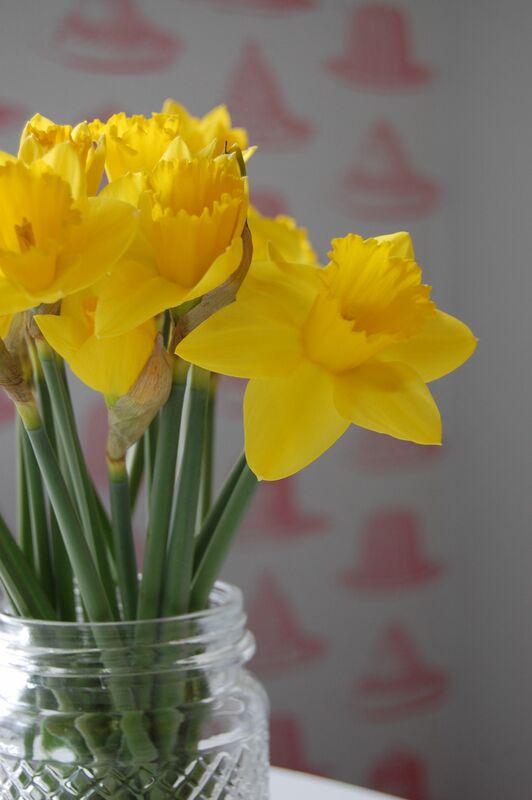 Daffodils (my favourites) bought for me by the other half. 3. 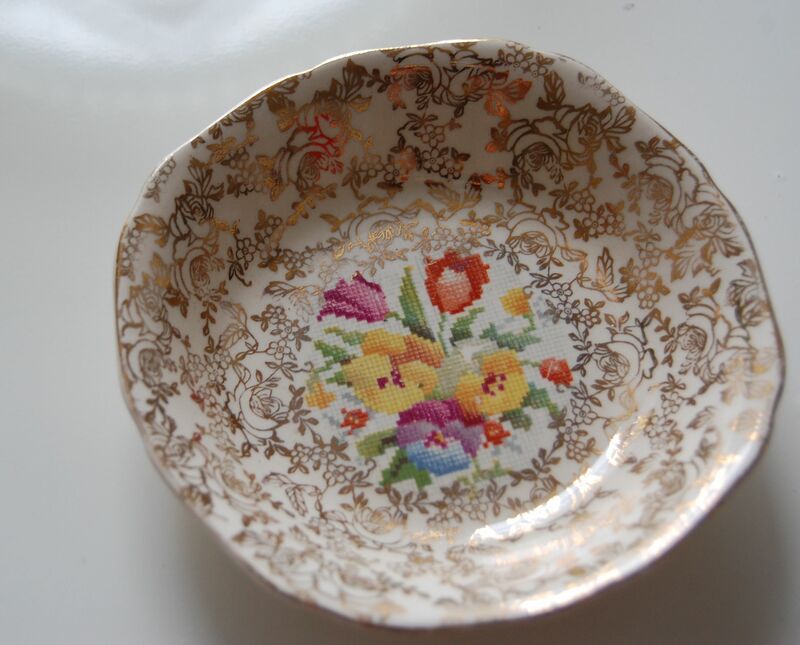 The pretty plate I found at Saturday’s flea market. How cute is the cross-stitch detail? 4. 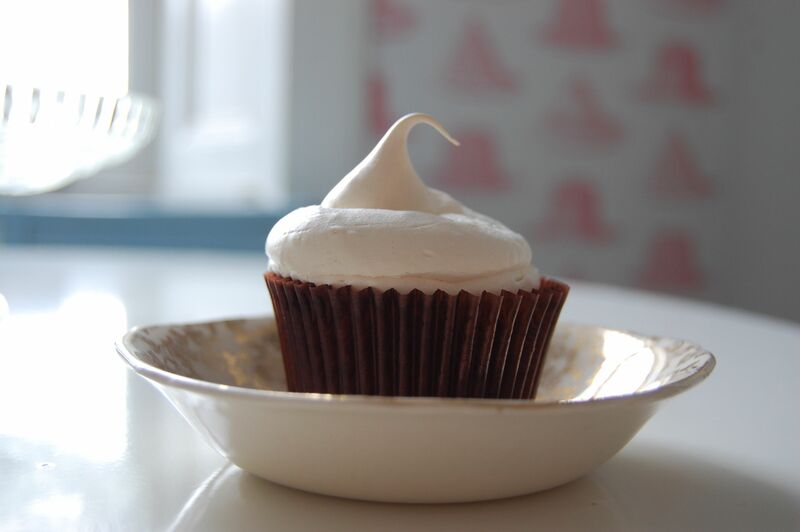 A rather delectable lemon meringue cupcake. 5. 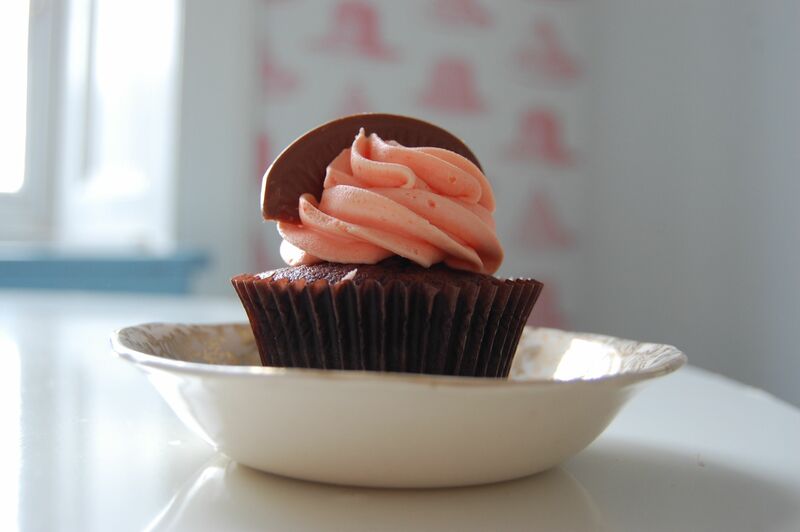 A too good to share (but I did because I’m nice) chocolate orange cupcake. 7. 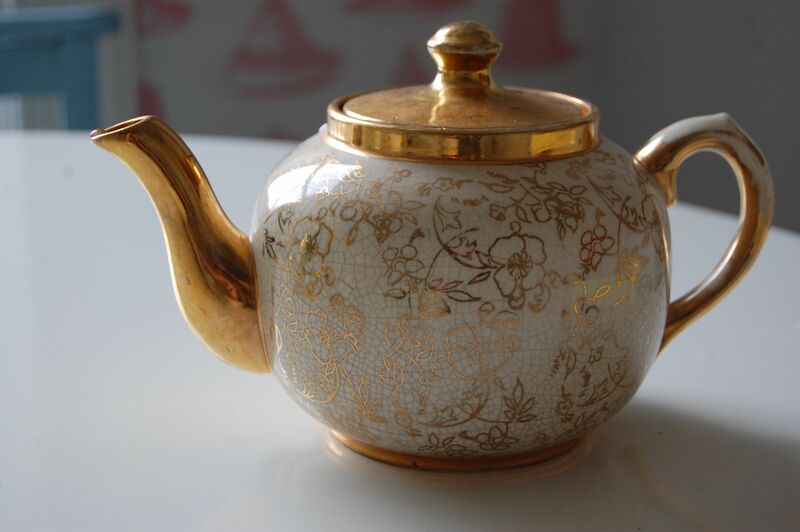 My favourite teapot… and it holds a proper amount of tea. 8a. 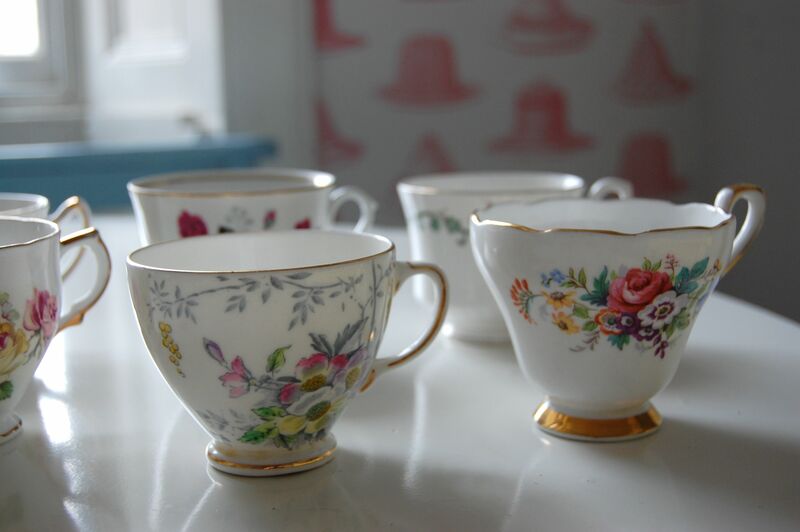 A nice teacup or two. macho coffee cup for the other half. 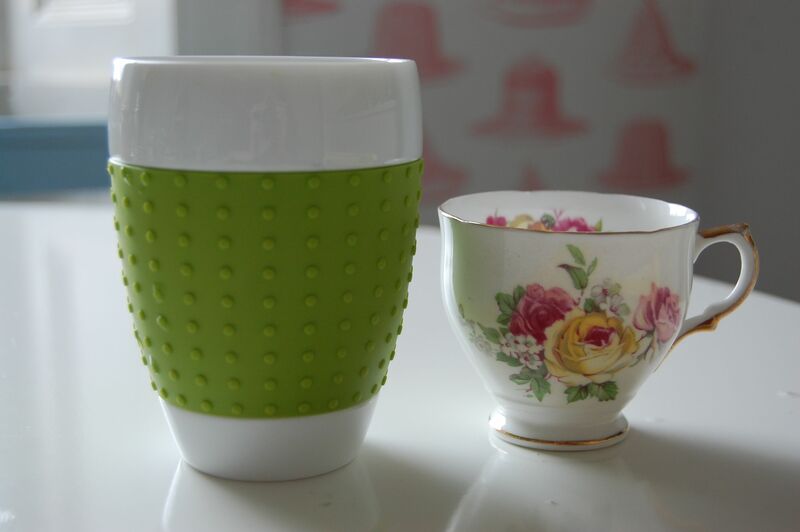 … especially when I discovered just how warm my new cosy keeps my tea. 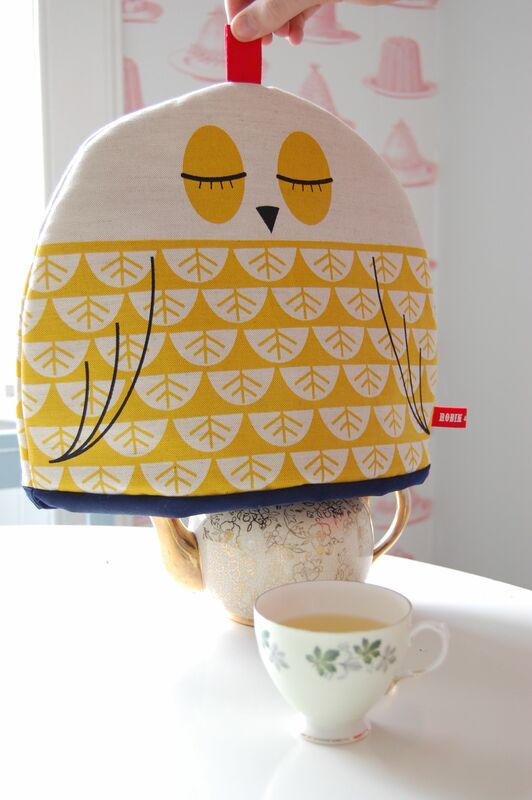 I am truly a tea cosy convert! Wow, I am basically in love with all of the above. Pretty much my ideal Sunday afternoon (or any other day or time if I’m honest…). I especially love that teapot. Gorgeous. What a lovely sunny post, those cupcakes look amazing. I have that tea cosy! Isn’t the most cheerful thing?! I bought one in teal for my sister in law and she went bananas over it. They are really well made too, so completely worth it. Fun, cute and practical. (and no, I don’t work for Robin and Mould!). 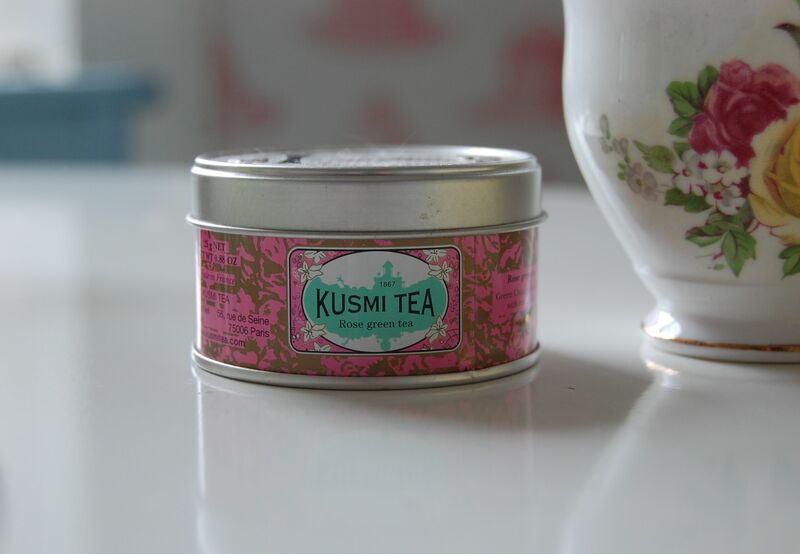 Did you get that tea cost from my new favourite shop, curiouser and curiouser? (we bought a print-but I wanted it all)and next time I’m up, please please please can we have lemon meringue cupcakes? One problem: the cupcakes look disappointingly small in context. Congrats on selling your flat by the way, must be a huge relief! Pretty pretty! And very spring-like! lovely photography Zoe, and a Sunday morning setup to be jealous of. Love it. Lucky lucky you, this looks perfect! Fab photos too. And that teacosy – ooft! Love it! Love love love the tea cosy! So cute – enjoy them! I should have made much more of my leisurely Saturday and Sundays before I had my son. Because now they are filled with bits of lego and demands for PS3 games…..
I’m swooning over it all (and trying not to look at the cupcakes too much as they’re making me hungry!). Your teapot is gorgeous and the plate you found recently goes with it so well. I love everything about this! 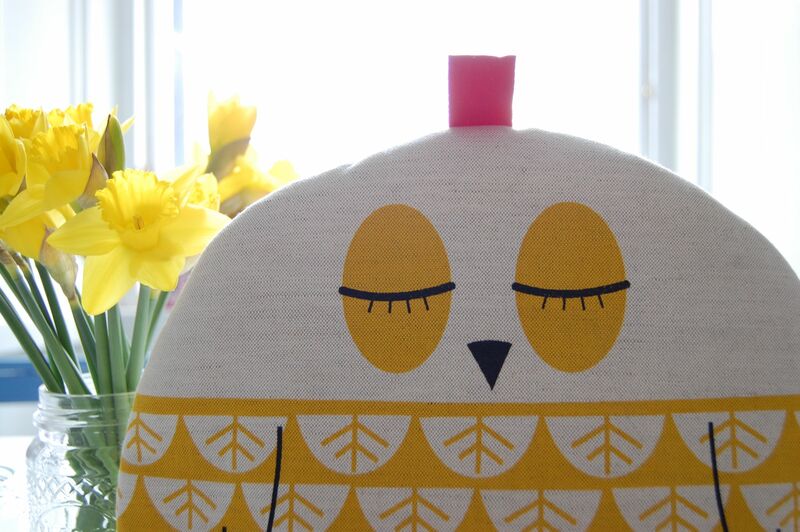 Just sent a link to my Mum of the blue version of that tea cosy it’s so lovely!! mmmm to the cupcakes; I just got the hummingbird bakerys new book and it has a recipe for lemon meringue, sticky toffee & cola cupcakes that I cant wait to try! Although I recently made the strawberry cheesecake ones from the old book and they were delicious! 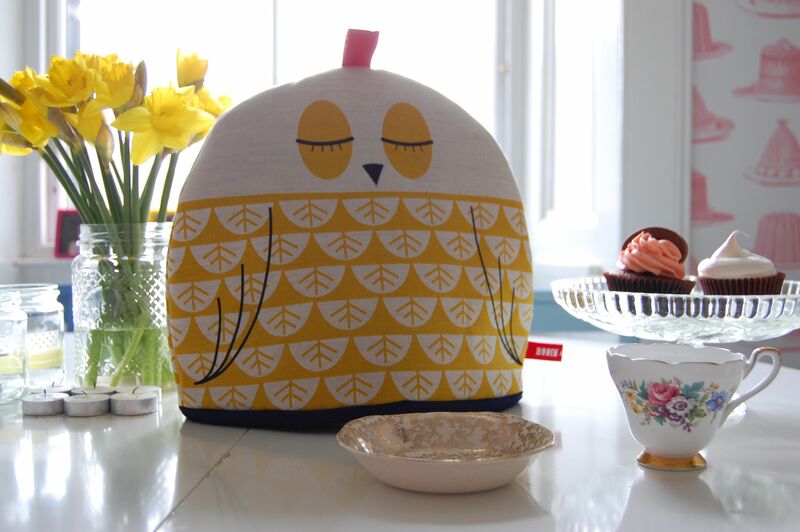 Love the tea cosy too!